NECA Sin City Hartigan collected in Figure Collection by Tayler Rowe - Collected It! Now this is a very rare occasion, NECA HAVE FAILED MISERABLY on this figure. 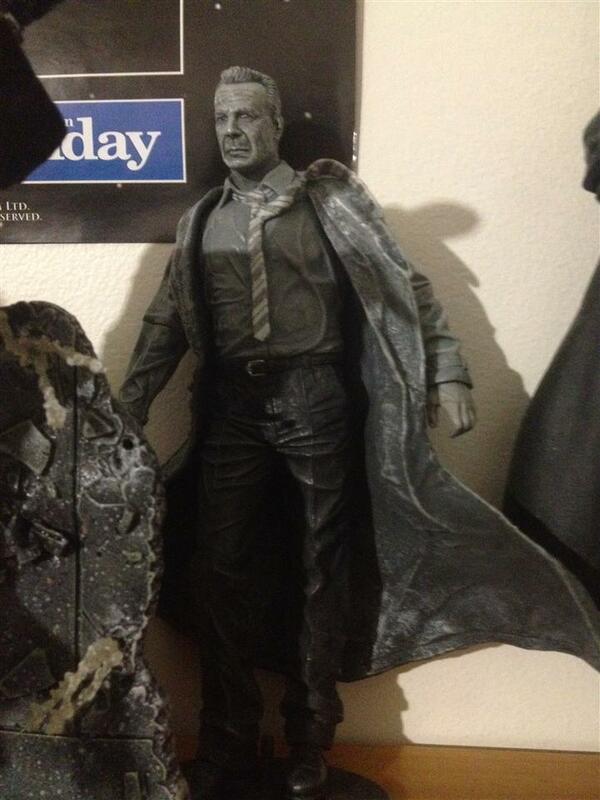 After watching Sin City years ago, I jumped straight on the internet to hunt down this figure. But sadly it was terrible. the figure does not stand at all which is why I had to drill into his feet to attach a base and it still didn't stand after that, the gun wielding hand does not hold the pistol at all and will ALWAYS fall out no matter what, and to top it all off, the face looks nothing like Bruce Willis. If anything it looks like Bruce smelt a hobo fart on a bus. I do not recommend this figure to anyone only because it was way too much effort for me, try and opt for another Sin City figure from the line.